The Cairns Post is reporting that the Northern Australian White Paper includes measures that would override current regulation on souvenir manufacture. Cairns tourism operators who have sold things like kangaroo-paw back scratchers say tourists can’t get enough of animal products. The article below from the Cairns Post says that the Northern Australia White Paper, released in June 2015 by the federal government, includes measures to evolve the ‘commercial wildlife’ industry. Aquaculture – the large scale production of seafood and other water products – is key to the Northern Australia White Paper. Logistic issues around exporting biological products are expected to be explored. Normally, when you think souvenirs, you think snow globes, Eiffel Tower trinkets, and mini Statues of Liberty. When international tourists return home from a trip to Cairns, to remind themselves of their holiday of a lifetime, they can fondle their kangaroo scrotum bottle openers, lovingly gnaw on a piece of crocodile jerky, or lacquer their faces with cream made from the placenta of newborn sheep. Weird and wonderful objects are being sold in the city’s souvenir outlets, including some that are dubiously representative of the Far North. But it doesn’t matter, according to OK Gifts Cairns manager Kano Omura, who says his customers cannot get enough of the goods. “We provide good quality souvenirs; things you cannot find anywhere else,’’ he said. OK Gifts is one of the city’s oldest souvenir shops, opening on the corner Spence and Abbott streets about 20 years ago. 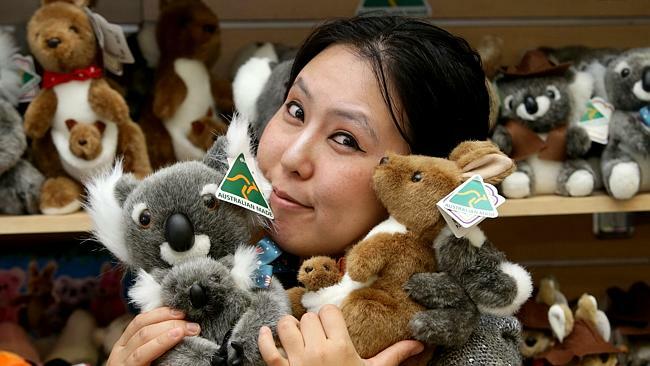 Mr Omura said items made from kangaroo – paw back-scratchers, scrotum bottle openers – were very popular among European customers. Many of these goods are made by Townsville-based taxidermist John Kreuger, who introduced stuffed cane toads to the world in the early 1980s. Cane toads, which this week celebrated their 80th anniversary of being introduced into Australia, released on a property at Meringa, south of Cairns, are mostly sold in souvenir stores in the form of coin purses and keyrings. Far North Frontier owner Sun Kim said customers were keen to buy items such as the toxic amphibian keyrings because they were “real”. In the Northern Australia White Paper, the Federal Government has indicated it would streamline the processing and issuing of CITES (Convention on International Trade in Endangered Species) permits, to provide greater certainty for commercial wildlife trade in Northern Australia, including the crocodile industry. 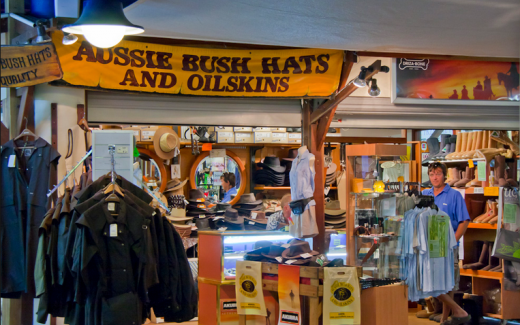 Trade in croc products – including jerky – is a unique northern Australian industry, currently worth tens of millions of dollars annually. In its report, the government says removing permit requirements for tourist souvenirs where those requirements are more stringent than required under CITES will reduce the regulatory burden for the tourism industry, particularly the sale of indigenous artwork that may use plant material listed under the permit scheme. Queensland Tourism Industry Council chief executive Daniel Gschwind said removing some bureaucratic obstacles for manufacturing Australian souvenirs would make it easier for businesses to develop opportunities. “I’m sure they will also keep in mind what other considerations there may be, such as appropriate handling of animals and all these other matters that must be taken care of,’’ he said. “As long as that is ensured, I guess there’s a market for just about anything. As for whether products such as stuffed toads, crocodile skulls and abalone-flavoured macadamias were a good product to represent a tourist’s ­experiences in tropical North Queensland, Mr Gschwind said it was a matter of taste. “I wouldn’t suggest I was the arbiter of good taste or not, but generally speaking, some of those products would probably generate some push back, as much as they might give promotional opportunities,’’ Mr Gschwind said. “There may also be some people who would be less impressed by them. “I think we need to make sure that we provide souvenirs and retail opportunities that have full appeal, and also build on other opportunities we have, such as the indigenous space. “Indigenous crafted artefacts are extremely popular and a genuinely unique selling point, just as much.